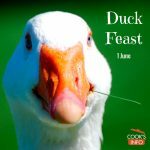 The Duck feast is held every year on the 1st of June at the Cat Inn, in the village of Charlton, Wiltshire. 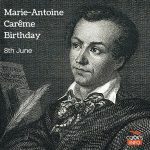 On this day, 8th June, in 1784, a boy named Marie-Antoine Carême was born. 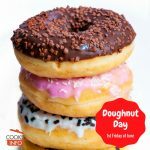 He would become the world's first celebrity chef, and codify French cooking in a way that still serves as a foundation today for European cooking. 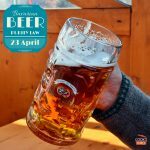 No excuses for anyone not having veggies today! 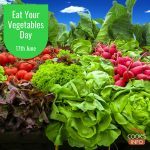 Every year on the 17th of June is Eat Your Vegetables Day. 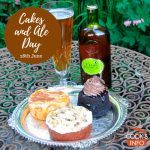 Cakes and Ale Day is a yearly event held in Bury St Edmunds, Suffolk, in south-eastern England. A man named Jenkyn Smith left money for Cakes and Ale to be served.